As usual, dark money is doing it’s best to mislead you about Amendment 73, as we’ve shown with their blatant deception! Don’t be fooled though, as they attempt to say that funding schools would hurt fire, police, parks, first responders, and anything else they add to that blatant lie. Will they continue this lie? 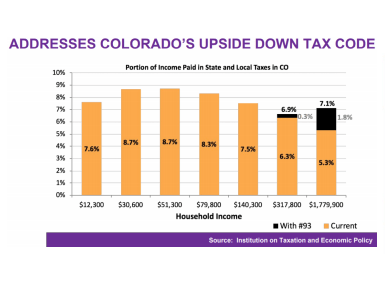 Don’t forget how “unfair” it is that the wealthiest people in the state might have to pay a little more in taxes while they already pay less than those making less than them. Our children, ALL Colorado children, deserve a quality education! Thanks to our Safety and Security Team, Law Enforcement – the post YOU create.